Much goes on behind the scenes to prepare donor sperm for use. In this post, we outline the process to help you understand what happens before vials arrive at your door or your clinic for use. We’ve written previously about how we carefully screen our sperm donors. So, once sperm quality is confirmed, samples are processed and concentrated into small batches and then placed into vials to be frozen. A compound is added to help facilitate the freezing process. Usually made of glycerol, this additive is necessary to prevent crystallized water from damaging the sperm cell membrane during freezing. Next comes the freezing process. The vials are gradually cooled using liquid nitrogen vapor until they reach about -175 degrees Celsius. Later, vials are moved into liquid nitrogen (LN2) tanks for long-term storage at -196 degrees Celsius. At these extremely low temperatures, there is essentially no metabolic activity and sperm is effectively in suspended animation. It does not use any energy, does not degrade or age, and is immune to attacks from microbes or bacteria. Each time a specimen is frozen, the technician saves a small amount to be thawed and counted between 24 and 48 hours later. This ensures all specimens meet our quality standards and are ready to use during an insemination attempt. Theoretically, sperm samples can be frozen indefinitely in this state. 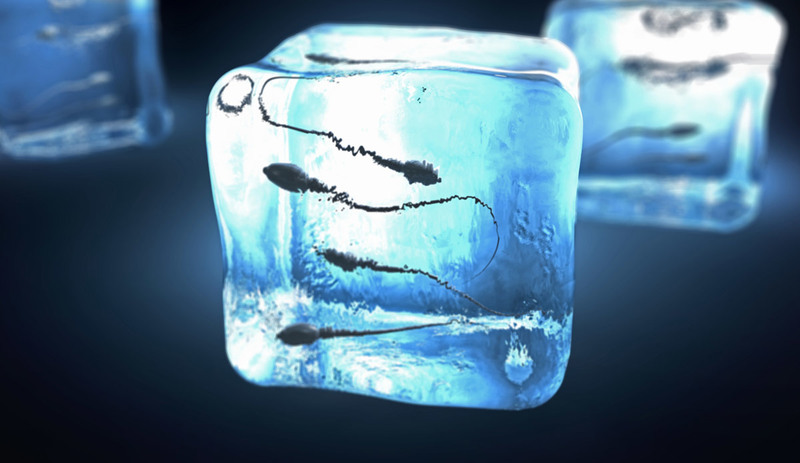 Frozen sperm poses no additional risks to women trying to conceive when compared to fresh sperm. In fact, because of the rigorous genetic and infectious disease testing that occurs at a licensed sperm bank, many health and safety concerns relating to conception can be minimized. If your vials are sent to a clinic, they will be kept frozen until you’re ready to use them. Usually, the clinic transfers the samples from our shipping tank to their own cryogenic storage so you can access them when needed. If the vials are sent to your home, you need to keep them in the shipping tank to guarantee they stay frozen at the proper sub-zero temperature. Each shipment includes a document stating the date the samples should be used by. This is important to note because we cannot guarantee the viability of the samples after that use-by date. We offer two types of shipping tanks, 7-day and 14-day. For residential deliveries, we always use the bigger 14-day tanks to give you more flexibility with your timing. Regardless of where you’re having your samples shipped, for the best results, you’ll want to time the delivery of your vials to arrive shortly before your “fertility window.” For most women, this is sometime between days 10 and 15 of their monthly cycle. 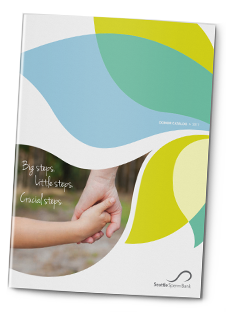 Knowing your fertility window also helps you order your donor sperm in a timely manner. It’s always better to arrange for your vials to arrive earlier than later in case shipping is delayed for any reason. Waiting until the last minute can lead to unnecessary stress in the form of wasted time and effort due to a missed cycle. With every purchase of vials sent to your home address, you will also receive a free insemination kit along with detailed thawing instructions. You can watch a visual demonstration of this process on our videos page. Please contact our office at 206-588-1484 if you have any questions about the freezing process or ordering vials. We’re here to help.